When you think about plumbing, some of the first things that may come to mind are faucets, toilets, bathtubs, and showers. It is probably likely that some sort of pump wouldn’t be the first thing to come to mind. There are many applications in the plumbing, HVAC, and irrigation industries that utilize some sort of pump system. Pumps are used to help keep our homes and businesses free from flood water and waste. They can also be used to help water lawns, crops, or to help keep our air conditioners to work properly. Plumbing. 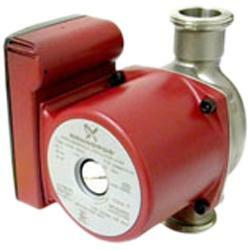 Pumps are used in a number of ways in the plumbing industry. There are pumps that are designed to keep the hot water in your pipes to continuously travel from the faucets (where it would normally just sit and cool down) back to the water heater and back again to the fixture. These pumps are called Circulation Pumps and provide you with continuous hot water throughout each day. Other pumps are designed to overcome the effects of gravity in places such as basements where toilets and other water using fixtures are located below the sewage and waste systems. The power generated from these pumps propels the waste up against the flow of gravity to take it where it needs to go. 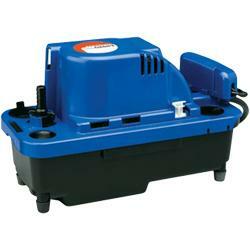 Other pumps are designed to clear out water that result from water leaks or flooding. HVAC. In some air conditioning systems, boilers, and other furnace systems, the use of a Condensate Pump will help to keep the air passing through these systems clean. As these systems are used, there is steam and other condensate that is produced that can contain debris and harmful chemicals. These products are collected in the pump and once a certain level is reached, the pump will get rid of them, preferably into the municipal waste system, keeping the air that goes through the system clean and free from harmful material. Irrigation. Different kinds of pumps are used to obtain and distribute water or even use it as a decorative feature of in a homeowner’s yard or the lobby of a commercial establishment. There are pumps that are designed to draw water out of natural wells. Since the water that comes from wells is usually more dirty and contains more “junk” in it than other water, these pumps are designed to be more durable and to withstand the harsh water that passes through them. Once the water goes through the pump, it can be used in sprinkler systems to water lawns or for other purposes. Pumps have also been designed as features for yards. 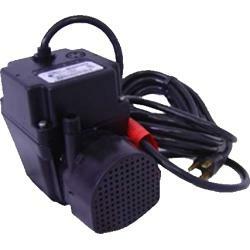 Pond pumps are used to create fountains in the yards of homes and inside or outside of commercial establishments (such as malls, restaurants, etc.) They are also used for creating “waterfalls” for a decorative feature in homeowner’s yards. Since these types of pump come in contact with a lot of water, they are designed to be submersible (the capability of being underwater or “submerged”).